Any who has enjoyed living in Wisconsin knows that Wisconsin cheese is some of the best in the world and always makes a wonderful gift. Some of us thing it's hard to find a better gift than cheese, but a New London woman has really taken the gift of cheese to a new level by giving away a cheese company. Marilynn Taylor of New London, Wisconsin, just a few minutes from Appleton, was president of Wohlt Creamery LLC, a cheese company noted for its cheese for pizzas and its process cheese. It is one of the largest employers in her town. She passed away on Feb. 25, 2017 at the age of 71. In her will, granted her multi-million dollar company to the Community Foundation for the Fox Valley Region. This unusual gift posed some challenges to the Foundation as it sought to not only benefit from the gift but to protect the company's employees as well. Further, the Foundation wanted to ensure that the gift would help residents of the city of New London, the village of Fremont and surrounding townships, and help those Marilyyn's alma mater, Lawrence University. Above are photos from Marilynn's yearbook and her obituary. Marilynn spent most of her life in Fremont, Wis., where her parents, Edwin and Sarah Wohlt, founded the cheese company in 1941. After her father’s death, a new state-of-the-art facility was built in New London in 2001 as part of a consolidation of two processing plants. “Marilynn took over the business in 1999 when her father became ill, and single-handedly ran Wohlt Cheese for 16 years,” said attorney Charles J. Hartzheim, Herrling Clark Law Firm in New London. Several properties and homes Taylor had owned were also part of the estate gift, along with the contents of the houses and buildings. Hartzheim said the estate settlement is still in process and will be completed soon. The Herrling Clark Law Firm Attorneys estimate that the sale of the cheese processing business and manufacturing facility will net the Community Foundation approximately $5.8 million; similarly, the other assets accumulated by Marilynn will net the Community Foundation approximately $2.5 million. Last year the Foundation and estate representatives sought a buyer for the corporation. After exploring several offers, a successful suitor emerged: Ellsworth Cooperative Creamery, from Ellsworth, Wis. The sale was finalized in August 2018. Ellsworth Creamery retained all of the employees and kept Wohlt Cheese intact. Lawrence University in Appleton, for scholarships awarded to students from Northeast Wisconsin with preference given to students from New London, Weyauwega and Fremont. Funding for the general benefit of the City of New London, Village of Fremont and nearby townships for the purpose of fulfilling community needs and benefitting its residents. The first grants will be distributed beginning July 2019. The Marilynn Taylor/Wohlt Cheese bequest is an example of the decedent’s assets passing to the Community Foundation free and clear of taxes. Wohlt Cheese Corporation is a 60-year old manufacturer of processed cheese located in New London, Wisconsin. The company offers a wide variety of flavored cheeses, custom blends and various melt indexes for the food service industry, deli trade and food manufacturing industry. Many thanks to Marilynn Taylor, her family, and her employees for making this possible. What gifts will you leave for your community? Review of Indian Darbar Restaurant, 2333 W Wisconsin Ave, Appleton. In the past few years, I've really grown in my appreciation of basic Indian food as I've come to know a good Indian chef in Shanghai, where I spend much of my time at the moment. My increased yearnings for Indian food prepared me to more fully appreciate a popular choice in the Fox Valley, India Darbar Restaurant. I've eaten there several times for dinner, but have only rarely been there for their lunch buffet. This time I had a group of 13 people, including small children. Going there with my group was one of the smartest and most economical ways to have a delicious, sit-down meal in the Fox Valley. Indian Darbar has gracious service and excellent food that seems very close to the "home-style" Indian cooking I've come to love. The items in the buffet are among my favorites, such as chicken Masala or saag paneer or a tasty vegetable curry. The naan was reasonably good, the level of seasoning was great and while some dishes were spicy, I was delighted to see that many of the kids loved the flavors. Darbar is an Urdu word meaning "royal court." It's not a royal setting nor, fortunately, offered at a royal price. The buffet is under $10 for adults and less for children, and really young children don't seem to be counted by the generous owner. Sorry for poor photos, taken around 2 pm when the crowds were dying down. But still quite tasty. Phone: (920)-560-4967. Lunch: Tuesday to Sunday 11:30 AM - 3 PM. Dinner: Tuesday to Thursday 5 - 9 PM, Friday and Saturday 5 - 9:30 PM, Sunday 5 to 9 PM. Closed Mondays. As I write, two very professional and knowledgeable technicians from the local Storm the Lawn Pro lawn care service are treating the lawn here in Appleton for a family member. I had some questions about the lawn and the best way to cope with some problems, and got some helpful guidance from them. I'm impressed with the technicians and glad that Storm the Lawn Pro was recommended to me by a local contractor. Before they came, I initially tried to get help from ChemLawn, now rebranded as TruGreen. I used ChemLawn years ago and was fairly happy with them. I have met one of TruGreen's local technicians and think they are also professional and knowledgeable, but am frustrated with the remote customer service out of Indiana, I think. There were multiple gaps in communication and details that had been improperly input into our account information. For communication about upcoming service, the options were a call from a machine or a text (from a machine). No way to get both! When I explained that I wanted to make sure I was there when the technician came and wanted some kind of personal communication, I got a lecture about how they are a lawn care company, not a plumber or home repair service, and that "in this day and age" you can't expect personalized service. That was pretty frustrating, because in this day and age the smart companies are using technology to provide better communication and more personalized service, not less of both. I also learned that what sales tells you and what customer service thinks you have been told is not the same. There were communication gaps and flaws of several kinds before we even got started with the first visit. I canceled the service, but I still think the people they hire out here are going to be good ones. I may have been really happy with TruGreen also, but their remote customer service got in the way for me. Many others are happy with them, so don't let me little frustrations change your ming if you want their service. But I was very happy with Storm the Lawn Pro's service. I hope the results will be consistent with my initial positive impression. One of the many evidences of Appleton's commitment to the art is Sculpture Valley, an effort hosting numerous sponsored sculptures in Appleton’s Downtown and Riverfront Districts. They secured 9 sculptural works in their premiere July 2017-July 2019 season. Obtaining a total of 24 works is their goal, a project called "ACREofART," a juried outdoor sculpture exhibit. ACREofART and other major creative projects for Appleton are part of the Creative Downtown Appleton efforts of the non-profit Appleton Downtown, Inc. Your donations can keep the creative momentum going. See AppletonDowntown.org's donations page to help. While Appleton has been recognized as one of the safest and most wholesome communities in the United States, the community is currently dealing with the tragedy of two murders in one week. One of the victims was a young man I have known for several years, Ben Graves. See the Post-Crescent story. He was shot in a scuffle with a couple of drug dealers, it appears, over an argument about half an ounce of marijuana. What a terrible waste of life for something so senseless. In a story I am less familiar with, another victim was shot on Olson Avenue. I've heard it may have been a man shooting his girlfriend, but am not sure. Two murders in one week. What tragedy for the families involved and for the whole community. Small town America is not nearly so calm and peaceful as we once imagined. Over the Christmas holidays, my wife and I received a Fandango gift card for the movies, so we went to see Rogue One at Marcus Valley Grand Cinema (a.k.a. Appleton East Cinema), W3091 Van Roy Road in Appleton. What a surprise to enjoy the spacious DreamLounger℠ recliner seats and a beautiful big screen with a terrific Dolby Atmos sound system. It was a remarkable movie experience, and the interesting film helped. Marcus Theaters have a growing number of similar auditoriums for high-end movie experiences, many with the recliner seats that can make going to the movies more comfortable than watching a movie from home. These big, plush seats with enough leg room to stretch all the way out take up much more space than conventional theater seating and result in smaller audiences and a somewhat higher price, but for the experience, I'd say it's worth it. Since we have a wedding coming up, we've been thinking about places in the Fox Valley that would be ideal for a reception. At the top of our list the charming Franklin Street Inn, and after a phone call today with the very gracious and helpful owner, I wanted to share our extreme satisfaction with that facility based on a previous wedding reception for one of our sons there. 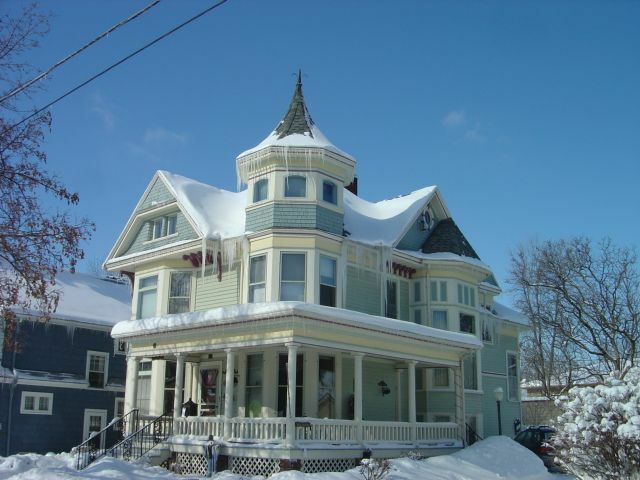 In spite of extensive remodeling and updating, this beautiful home still preserves the charm from yesteryear in the heart of downtown Appleton. The wedding couple enjoyed the reception and the chance to stay at the Inn, and our guests were also delighted with the charm and beauty of the place. I understand it may be on the market, if you are looking for a high-quality home with classic charm. It's the kind of place that I think I'd enjoy living in. For the significant Paper Industry International Hall of Fame annual awards ceremony this week, two representatives from China are coming to Appleton to receive a significant award on behalf of China, as I mentioned in my last post. What I failed to mention is the selection of the place where they will be greeted by some members of the Chinese community and the business community for a special luncheon. Working with the local Chinese community, I asked for a recommendation for a good place to provide some great Chinese food. My initial though was Confucius Chinese, where we did something similar several years ago, but it has closed recently. Sigh. But the Fox Valley is blessed with a lot of good Chinese and broader Asian restaurants. So which one to choose for an event of international significance? The final choice, aided by input from a key figure in the Valley's Chinese community, was GingeRootz Asian Grille. On my page of dining recommendations for Appleton and the Fox Valley, I have awarded it with "Webmaster's Choice: Best Asian" (a tie). GingeRootz is a classy place with outstanding Asian food. Its menu has influences from China, Thailand, Korea and Japan. Brilliant flavors, excellent service, pleasant setting. Among Asian restaurants in our region of Wisconsin, GingeRootz has a great reputation and really great food. A favorite among many people I know. They also have one of the nicest and most useful websites I've seen for a restaurant. They are open daily from 11:00 AM to 9:30 (10:00 on Fridays and Saturdays). 2920 N Ballard Road, Appleton, WI 54911. Phone. 920-738-9688. Email. info at gingerootz.com. Tell them Jeff sent you! On October 15, 2015, Appleton's Paper Industry International Hall of Fame will be inducting six new figures into the hall of fame. One of them is a historical figure from China who can be considered China's answer to Gutenberg. Gutenberg is frequently cited in the West as one of the most important inventors of all time for giving us the world's first book printed with movable type, a remarkable achievement from around 1455. As with many inventions long thought to have had European origins, there's a touch of Eastern flavor in this one, for Gutenberg's Bible cam 142 years after the world's first mass-produced printed book made with movable type, the large Book of Farming (Nong Shu) from China, printed in 1313 by Wang Zhen. Recognizing Wang Zhen for his important role in the advance of printing is a fitting step for the Hall of Fame, and I look forward to many more Asian inventors, scientists, and business leaders being recognized in the Hall of Fame in future years. The historical contributions of China in numerous fields have received far too little attention, and I'm delighted to see folks in Appleton taking the lead in rectifying this problem. Kudos to the Paper Industry International Hall of Fame! If you're part of the rapidly growing home-schooling movement, you'll be pleased to find a supportive and friendly home-schooling environment in Appleton and the Fox Valley. There are hundreds of families who are pursuing home schooling for a variety of reasons, and they are banding together and working with other organizations to provide social events, group outings, sports, and other activities that are often said to be the weakness of home schooling. Home schooling can leave some important areas uncovered if you do it all by yourself in a cave. Fortunately, by cooperating with other families and organizations, you can provide many of the activities and social experiences that can supplement the academics your providing. I spoke with one Appleton mother recently who is doing home schooling with her children and obtaining amazing academic results. I was surprised to learn how many activities their kids have with other families and organizations. A variety of local institutions treat home schoolers with respect and give them the same kind of discounts that other students get, adding to the fun and success that many serious home schooling parents are experiencing. Yes, of course, Appleton has outstanding school with a lot of great opportunities. For those who care about academic success--often one of the concerns that leads some parents to prefer home schooling--there are places like the Classical School with a focus on academic excellence. But sometimes the available resources are inadequate, overloaded, or not what a family is looking for. Sometimes the social aspects of a school include bullying or exposure to other negative influences that lead some parents to favor home schooling. Whatever the reason, it's important to know that there are many serious and successful home-schooling families in the Fox Valley and a couple of different groups to choose from if you want to band with others for support. In fact, you can even put your home-schooled kids in a band in the Fox Valley. I'll provide some details in a future report. How the OuterEdge Stage in downtown Appleton wound up becoming the temporary workspace for New York-based rock band Wild Adriatic this week came down to a pretty simple formula. "If the town likes us, we like the town." That's how drummer Mateo Vosganian put it, aptly describing how his band went from visiting Appleton for the first time in August for Mile of Music to returning not strictly for another gig (though there is one on Wednesday) but, instead, for a little down time. Wild Adriatic, a soul- and blues-heavy rock trio from Saratoga Springs, New York, were in town last year for Mile 2. The city and its people made such an impression that they've worked a three-day visit to Appleton into their tour plans between shows in Michigan and Illinois. "We had such a crazy great time. We were kind of blown away that such a cool festival could exist in a town we hadn't heard of before," Vosganian said. Hope all of you visitors are having a crazy time in Appleton, too, and plan on staying longer than expected. As a foodie, I can't live without lots of spices. Some of the highest quality spices and some of the best prices can be found at Penzeys Spices near the Fox River Mall at 710 North Casoloma Drive, close to SAP, Carmella's, and Fava Tea. Open 9:30 to 5:30 Monday through Friday, 9:30 to 5:00 on Saturday and 11:00 to 5:00 on Sunday. I recommend both their straight spices and their mixes, such as Arizona Spice and Maharajah Curry (the king of curries, but fairly expensive). If you didn't know that there are distinct differences in varieties of cinnamon, be sure to compare Ceylon Cinnamon with Vietnamese and other cinnamons. I also especially like their garlic and their basil. I usually buy in the bulk plastic bags instead of the small glass bottles because you get a much better deal that way. Today I dropped in to Penzeys to get some essential spices. Always a pleasant experience. And a great place for gifts for other foodies. A major Chinese cultural event is coming to the Fox Valley. Shen Yun, a highly acclaimed dance troupe offering "5,000 years of Chinese culture in one night," will perform at Appleton's Performing Arts Center on March 3rd and 4th. I'm disappointed that I'll be back in China soon and won't be here for that event. 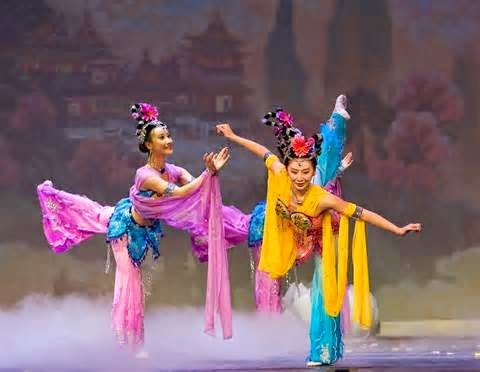 I've seen a lot of great Chinese cultural events in China, I'll admit, but the Shen Yun event looks really interesting with some classical Chinese elements and terrific talent. The Source Public House in Menasha, an establishment noted for high-quality food, will host a performance of a talented Midwest performers, Jillian Rae, on Dec. 31 at 9:30 PM. See JillianRaeMusic.com to learn more about Jillian and hear her some of her music such as "Heartbeat." The music videos are also fun. She's also on iTunes, of course. The Source Public House is at 890 Lake Park Road, Menasha, not far from Lake Winnebago. Phone: 920-830-2050. 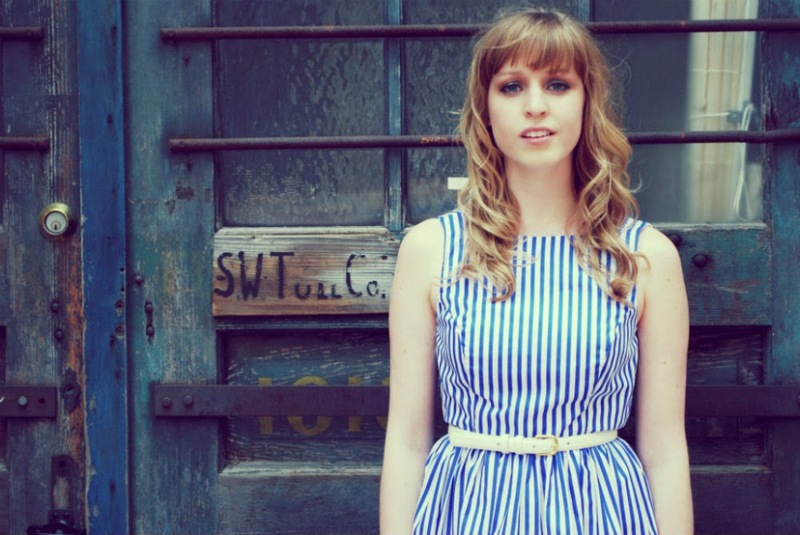 Jillian Rae will be performing with Dead Horses. The performance is free, but they are accepting donations to show your appreciation. Jillian Rae is a multi-talented violinist, lead vocalist, and songwriter who adds a fun dose of creative violin to her music. Her music is positive, upbeat, and catchy, even when dealing with the disappointments and frustrations of life. Jillian Rae grew up in Minnesota's Iron Range, said to be an environment as open to country, folk (and yes, polka) as it is to pop, rock and blues. Growing up in a music-loving household, Jillian started with the violin as a young child and has been developing her talents and music ever since. Hope you'll be there Wednesday night at The Source Public House in Menasha. With the coldness of winter coming soon (yes, I'm bracing for my December return to the Valley! ), I'd like to share a few summer memories of Appleton, one of the best places on earth to be in the summer. And still pretty great even in winter. First up is Appleton's downtown summer concerts and other public events. Lots of free entertainment comes to the streets and parks of Appleton in the warmer parts of the year. Here are two photos from a summer concert at Houdini Square. Summer also makes me think of the Fox River, known especially for its ability to flow in the summer, while its icy winter form is a lot more sluggish. In the summer, you can still go out on the river, but it's best to be in a boat. Summer memories often focus on the Fox Valley's beautiful parks like Appleton's Telulah Park shown here or Plaman Park, both of which offer Frisbee golf, a popular activity in the Valley. Among Appleton's parks, City Park with it's beautiful Ring Dance sculpture and fountain offers some of my favorite summer memories. Here is a view during an Art in the Park event. What are your favorite summer memories in the Fox Valley? Care to share a photo or two? If you were at Appleton's magnificent annual Art in the Park event a few days ago, you might have encountered Lee Mothes, one of Wisconsin's leading artists. His website is OceansAndDreams.com, where you can see many of his works, including some from his highly acclaimed creation of New Island, an imaginary 12,000-square-mile island that has been illustrated in detail by Lee. I'm happy to report that at Appleton's Art in the Park 2014, Lee Mothes was the winner of one of the top 3 prizes, the Best 2D Work for his paintings. You can read the news and see a photo of the happy winners at the Trout Art Museum page on the competitions at Art in the Park 2014. Kudos! "An Artist's Journey to Nevermore" has arrived from the printer, and the book looks great! I'll be shipping them out in the next few days, and also hosting a book signing party -- see below! 200 copies ready to sign and number! BOOK SIGNING PARTY: Friday evening, August 15th, 6-9 pm, at Coventry Glassworks & Gallery, in Appleton, Wisconsin. Enjoy lots of art, food, comraderie and Linda's wonderful punch, and claim your pre-ordered or Kickstarter-reward copy of An Artist's Journey to Nevermore. You may also purchase a copy at the gallery. (There should be at least 50 copies left for sale at the time of the party. This event is during Appleton's Art on the Town Night in August. 1. I will hold all WISCONSIN book recipients' copies and then hand them out at the party, signing each one over to its owner. 2. I'll work from my list, and whoever does NOT show up that evening, I'll ship your signed copy(s) on Monday the 18th. 3. If you will NOT be coming to the party, e-mail back to me and I will ship your items to you in the next few days. If you think you'll come and then don't make it, I'll still ship your book(s) to you on the 18th. 4. All other states and countries: I'll ship your books, maps and packets in the next few days. ARTSTREET ART FAIR: See my newest original art at Artstreet in Green Bay, aI on Friday Evening, Saturday and Sunday August 22-24. I'll be in booth no. 135, with my most recent drawings and surf paintings on display. ARTPRIZE: I've been accepted to show my new surf drawings at Artprize in Grand Rapids, MI from Sept. 24 to October 12. The whole city becomes an art show! I'll be at the Cathedral Square venue, attending the show with my work. I hope you can make it, and if you like my entry there, vote no. 56639 on your phone! Sounds great. Congratulations, Lee! Wish I could be there, but I'm back in Shanghai for a while. On the day of Lee's book party, I'm scheduled to attend a game of the Shanghai Sharks, the Chinese professional basketball team owned by Yao Ming, as they play the US all-stars from the college PAC-12 division. Should be fun, though maybe not as interesting as what Lee paints. Friends of mine wanted to celebrate their wedding anniversary. Where to eat in Appleton? I recommended Carmella's, one of my favorites. They tried it and were delighted. A great selection. I'm also impressed with the healthy and flavorful men at the new SAP restaurant, just a few yards away from Carmella's. It also has a fun outdoor section for casual dining. Lots of great local ingredients and healthy items there. Fun place. My biggest recent surprise was a place I had studiously avoided: Golden Corral. Now that it has been remodeled and greatly upgraded, it's a surprising wow in terms of great buffets. For $12 a person, I'm actually rather shocked at how much good food is available there. My grandkids absolutely love it, and I can see why. The thick, juicy steak I had there was perhaps the most surprising item. Wow, I've had much worse for much, much more. Actually rather tasty and more tender than I expected. Nicely. cooked. But on the other hand, it's been a while since I've had steak so I may have forgotten how good it can be. But give Golden Corral a try. On July 16, I was fortunate to be able to attend an open house for the new high-powered consulting group, Dynamic Insights. This team of leading professionals in marketing, business development and consumer research are among the first clients in the newly remodeled Equitable Reserve Association building, a historic building in downtown Neenah, right next to the famous City Hall clock tower on Commercial Street. The developer of the building has a bold vision for preserving and enhancing downtown Neenah. It was a pleasure to meet him and learn of his passion for Neenah and his vision for the future. Congratulations to him and to Dynamic Insights. There have been a few highly publicized episodes of criminal behavior in the Fox Valley in the past year, but in spite of the media frenzy, crime statistics show that Appleton crime is down. That's great news in a community that is already quite a safe place to live. See the April 23, 2014 story at the Post-Crescent, one of the best small-town newspapers in the country. Some of the statistics showing possible increased criminal activity are due to changes in definitions that now add previously "neglected" crimes like spitting and pushing. From my temporary perch in Shanghai, China, I can tell you that spitting and pushing are things some very safe cities might not want to include in their crime statistics. Maybe it's a good sign that Appleton feels a need to expand the scope of its statistical lasso. But I hope it's not because there's been a wave of pushing and spitting crimes. Appleton has some risks and some crime, but it's a wonderfully safe, peaceful, and pleasant community. Except when the Packers are losing--then things can get tense for a few hours. Sadly, at such times, Packers Traumatic Stress Disorder can escalate and lead to ugly incidents of, well, pushing and spitting. So I hear. At such times, stay off the streets and especially out of the bars, and keep the doors locked. In spite of an occasional polar vortex and bone-chilling temperatures, the Appleton area can be remarkable beautiful in the middle of winter. Just looking out into the backyard of a typical home reveals beauty in the snow. Or the snow and ice. Or the snow, ice, frost, and bitter cold, depending on your mood. To really enjoy Appleton, many people find that it helps a lot to take up winter sports like cross-country skiing, snowmobiling, hockey, the mysterious sport of ice fishing, ice skating, or even curling. Appleton abounds in winter activities for the brave and properly dressed. Of course, there's also hot chocolate. 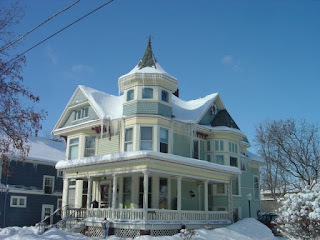 Here are a couple of shots from an Appleton neighborhood I visited recently. The Great Grill & Sushi Buffet: Now Even More Sushi in Appleton! One of the many changes I noticed when in Appleton in December was that the Old Country Buffer on the north side of the Fox River Mall was becoming The Great Buffet, or more specifically, The Great Grill & Sushi Buffet. Just a few days ago it officially opened, as reported by Maureen Wallenfang in her popular column, "The Buzz" in the Post-Crescent. Haven't tried it yet, but my expectations are high. There are now so many sushi options in Appleton. Far East, Koreana, Island Sushi, Osaka Grill, Great Buffet, Dong Po, and a few others. What is your favorite? Jet Sushi is no more and has been replaced by Island Sushi, so you can still get good sushi at the same location, 62 Eisenhower Drive, Appleton, Wisconsin. Phone: (920) 993-2222. It may not be the best sushi you've tasted (according to one sushi critic I respect, but the reviews at Yelp are highly positive), but they have one important secret advantage: they deliver. A family in east Appleton reported to me that they had an OK (good but not great) sushi meal recently that was actually delivered by Island Sushi. Delivery may not be available for all locations nor at all times, so don't have unreasonable expectations, but when there's a polar vortex or something sweeping across Appleton, it's nice to stay home and let someone else bring the sushi to you. Sweet.